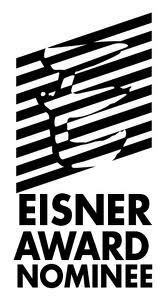 It’s official ladies and gents, Princeless is an Eisner nominee! Not only that, we’re nominated in two different categories: Best Single Issue and Best Publication for Kids (8-12). Honestly, I had hoped for the best, but just getting nominated for an Eisner was beyond my wildest expectations. Congrats and well-deserved, Whitley and Goodwin. So excited for you guys; my kids both love this comic.